Get $60 Back by Mail with the Purchase of 4 Pirelli Scorpion Verde, 4 Scorpion Zero, 4 Scorpion ATR or 4 Scorpion STR Tires August 22, 2014 through October 5, 2014. 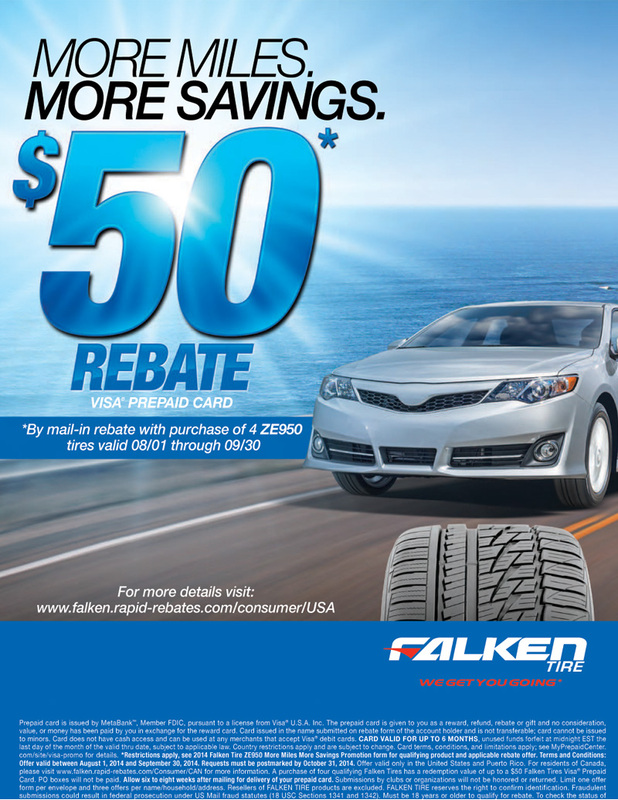 Get $50 Back by Mail with the Purchase of 4 Falken ZE950 Tires August 1, 2014 through September 30, 2014. Find deals in the Falken ZE950 in Ultra High Performance sizes here. Find great deals in the Falken ZE950 in High Performance sizes here.